Who Is Like You? — Word-Strong Who Is Like You? O Lord, the heavens praise your miracles and your faithfulness in the assembly of the holy ones. Who in the skies can compare with the Lord? Who among the heavenly beings is like the Lord? O Lord God of Armies, who is like you? Mighty Lord, even your faithfulness surrounds you. You rule the raging sea. When its waves rise, you quiet them. You crushed Rahab; [Rahab is the name of a demonic creature who opposes God] it was like a corpse. The heavens are yours. The earth is also yours. You made the world and everything in it. You created north and south. Mount Tabor and Mount Hermon sing your name joyfully. Your arm is mighty. Your hand is strong. Your right hand is lifted high. Blessed are the people who know how to praise you. They walk in the light of your presence, O Lord. They find joy in your name all day long. They are joyful in your righteousness because you are the glory of their strength. By your favor you give us victory. How do you typically begin a prayer? Have you ever listened to how you address God in prayer? The example of prayer the Lord Jesus gave His disciples begins with acknowledging who God is (Luke 11:1-4; Matt 6:9-13). This is critically important. Not the form but the perspective. Just as north is the governing direction of a compass, realizing who the Lord is as God Almighty is our northpoint—our perspective, the One who provides true direction for our lives. When we are in a place of desperation and despair, we tend to focus on our problem or on our self or both. But this psalm reminds us we need a right sense of perspective. We need to see God as greater than ourselves or our problems. This psalm was likely written before the exile of Israel but during a time of moral and spiritual decline. It's called the Covenant Psalm because it proclaims the promise of the Davidic covenant related to the promise of the Messiah. Even before their exile, Israel lost much of its sovereign freedom as a nation and already lost the favor of God. An important element of the Old Covenant and David Covenant was the promise of restoration, if and when God's people return to the Lord and His covenant. Those of us who know the Lord Jesus through His covenant of grace also have the promise of restoration. And we also have the responsibility to return to God in repentance when our hearts wander away from Him. Are you a believer but find yourself in a place of desperation? Reset the compass of your life with God as your Northpoint. Remember who He is—great yet tender, Almighty and merciful. 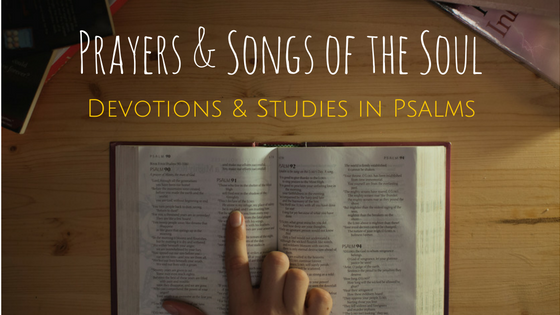 Here's a worship song that expresses the similar theme of this psalm– Who Is Like Our God?